I was reading a book today that said "It's not who you know, it's who knows you". How true is that? In this age of new media, it's easier than ever to create your own personal brand. One way I brand myself is through www.iketippetts.com. It's basically a blog where I talk about a variety of things. I think people have a curiosity about what makes Rainforest Plumbing & Air successful and some may be interested in the things I write about. 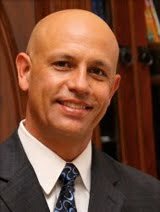 Sometimes I write about personal interest topics like diet, nutrition or exercise and other times I write about business and management topics. 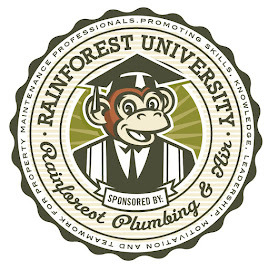 I view my online strategy in the shape of a wheel with http://www.rainforestplumbing.com/ at the center. The spokes add strength to the wheel and support the hub. Some of these items are still in development but I've listed them anyway just to illustrate the strategy. There are other spokes that will surely be added over time as I am constantly searching for ways to differentiate Rainforest Plumbing & Air from all the rest. Some people get scared about personal branding especially on the Internet and I agree you have to be careful. Just be smart about it. Our lives are interconnected and whether you know it or not, you have an audience. Now, go out and start creating your own personal brand. You never know when or how it will come in handy.